"While appearing initially to be an amplified flat top round-hole acoustic, the Virginian is really a fully electric semi-hollow guitar with a laminated mahogany body and flamed sycamore top. The two Bar-O-Matik pickups are mated to the patented fully adjustable Rezo-Tube bridge, used without a vibrato only on this model. The full-scroll neck is shared with the Marvin guitar, anthough the Virginian has a shorter scale. The unusal three-knob density tone circuit was one of Jim Burns' latest creations at the time, consisting of a stacked pickup with a blendable second coil in the neck position combined with a single-coil at the bridge. The heavily braced cutaway mahogany body was called the Controlled Resonance design, developed from the slightly earlier GB65. Jim Burns himself was extremely proud of this instrument, which was completely unlike most guitars in existance in 1965. Despite its hybrid appearance the guitar handles very well and the sound is extremely bright and clear for a full-size hollow instrument." 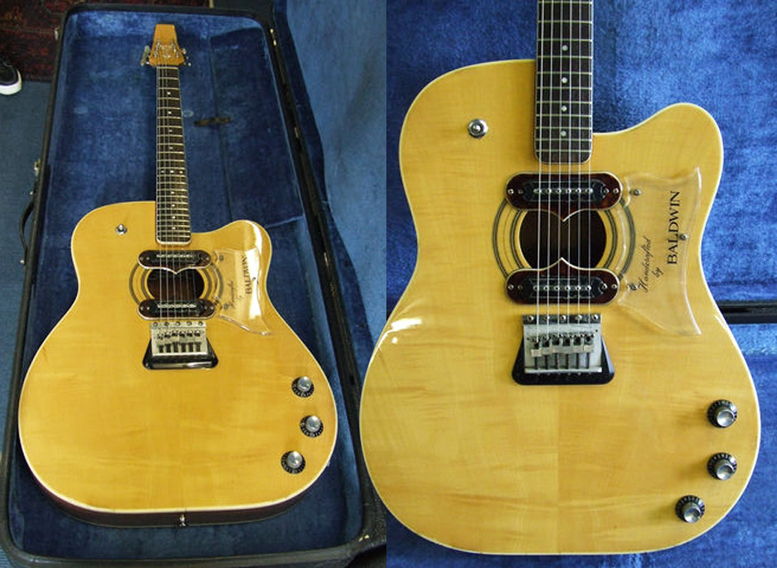 We've seen another model of Virginian before, but it's such an interesting guitar that it's worth coming back to it. I'm partial to the Virginian with a whammy bar myself, just for sheer weirdness. I'm guessing this guitar was moderately expensive for the time. Someone have a mid-sixties price list? I bought my Virginian in 1966 for $600. Much more than the Fender Stratocaster ( $ 275). I paid 30 dollars month as a high school musician. I just started its restoration. Bought mine new in 1965 for $550.